1. 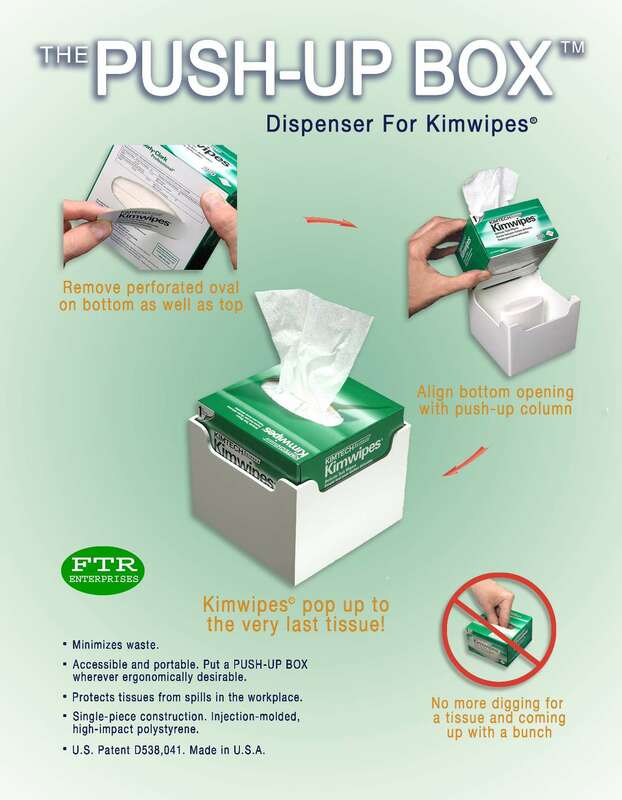 Kimwipes pop up to the very last tissue. Ensures the top tissue never falls back into the box. No more digging for a tissue and coming up with a bunch, minimizing waste. 2. Accessible and portable. No fixed wall installation required. Put a Push-Up Box wherever ergonomically desirable. 3. Protects tissues from spills and moisture in the work area. 4. Single-piece construction. Injection molded high-impact polystyrene. No glued joints, no assembly required.